German car and truck maker Daimler AG reported second-quarter net income and revenue fell amid a slight increase in overall vehicle sales, driven by larger gains at its Mercedes-Benz Vans and Daimler Trucks units. For the period ended June 30, net profit fell 27% to the equivalent of $2.1 billion, or $1.89 per diluted share, on revenue of $48 billion. Daimler reports in euros. That compared with net income of $2.9 billion, or $2.67, on revenue of $48.3 billion a year earlier. 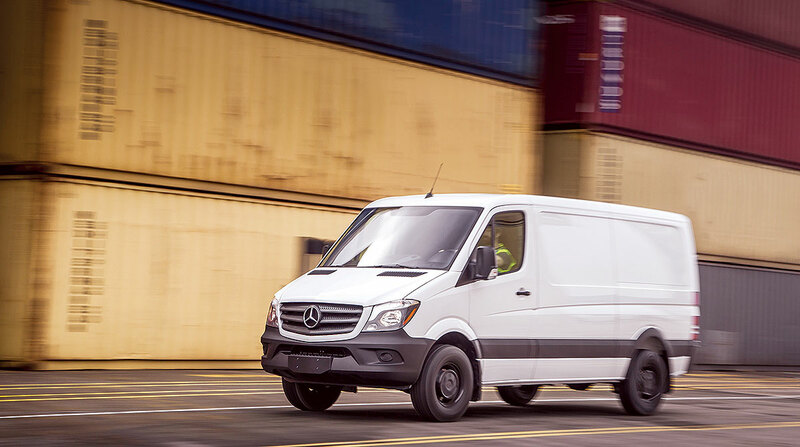 Daimler sold 833,000 cars and commercial vehicles worldwide, which is 1% more than 822,500 a year earlier — led by a second-quarter record of 110,900 units sold by the Mercedes-Benz Vans unit. The truck division — Daimler’s second largest behind Mercedes-Benz car — posted sales of 123,900, or 6% higher than the 116,400 in the second quarter of 2017. The truck sales volume in the NAFTA region increased to 44,300 units compared with 42,300 a year earlier. The division’s second-quarter earnings before interest and taxes was $641 million compared with the prior-year period’s $643 million, according to the Stuttgart, Germany-based company. Truck-related revenue amounted to $10.8 billion compared with $10.6 billion a year earlier. The truck unit’s return on sales was 5.9%. Daimler said its main investments at the truck division are for improved fuel efficiency and emission reductions, as well as for tailored products and technologies for important growth markets, which it did not detail. In addition, the future technologies of electric mobility, connectivity and automated driving continue to gain importance. The company forecast its total truck unit sales in 2018 will be significantly higher than in the previous year due to the significant recovery of some important markets. In the NAFTA region, the division expects a significant sales increase compared with 2017 as a result of the ongoing market recovery. In the EU30 region, the truck division anticipates unit sales in the magnitude of the previous year. In Brazil, unit sales in 2018 are expected to be significantly higher than the low level of 2017. Daimler Trucks anticipates significant sales growth in India, too. Unit sales also should grow again significantly in Indonesia, while in Japan, unit sales are expected to be at about the prior-year level. The Mercedes-Benz Cars division saw sales dip 1% to 590,690 compared with 595,178 in the 2017 period. The division was not able to achieve its earnings of the prior-year quarter due to a temporarily weaker pricing, including China-related tariffs, according to the company. On July 25 — the day before it posted its second-quarter earnings — Daimler got a break from the looming trade tension between the European Union and the United States, helping to paper over a weak quarter and struggles in its Mercedes-Benz division, Bloomberg News reported. In an unexpected cease-fire in the trade EU-U.S. trade spat, President Donald Trump and European Commission President Jean-Claude Juncker agreed to suspend new tariffs while negotiating lower barriers to transatlantic commerce. Signs of the two major trading partners backing away from a trade war helped lift Daimler as much as 1.1%, Bloomberg noted. Meanwhile, quarterly sales of vans jumped 7% to 110,883 compared with 103,393 a year earlier. Daimler’s result was “broadly in line” with expectations and being hit by a number of one-time effects, Evercore ISI analyst Arndt Ellinghorst wrote in a note, such as a supplier fire in the United States that temporarily shut down production. Ellinghorst pointed to a challenging second half of the year with higher raw material prices, currency headwinds and bottlenecks at the Mercedes-Benz division, Bloomberg reported. “The automotive industry, and therefore we, too, have many challenges to overcome. That’s why it’s important that we systematically implement our strategy,” Daimler Chairman Dieter Zetsche said in a statement. “We plan to further strengthen and expand our position with numerous new models and technologies. We are focusing on innovative technologies, not only with our CASE strategy [connected, autonomous, shared, electric — which includes self-driving trucks licensed for public roads],” he said.